Be proactive in your individual disaster recovery plan. Do not act immediately: Avoid signing any documents within the first 72 hours following a disaster. Contact your insurance provider and file claims as soon as possible. It is important to understand what is covered, what is excluded, and what the deductibles are. 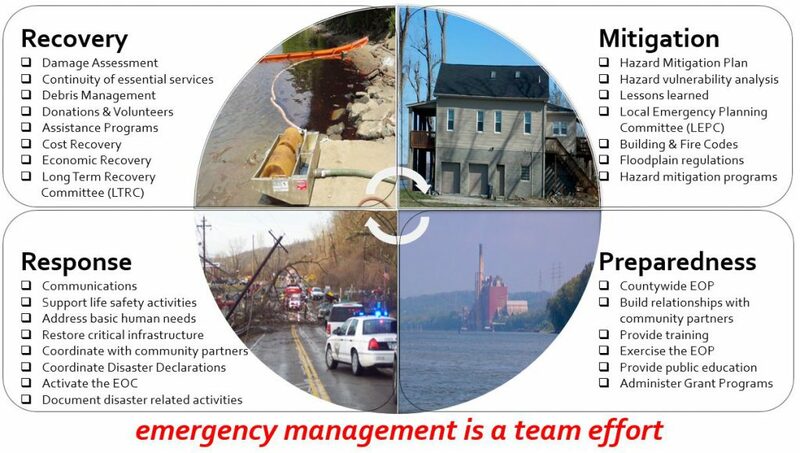 For additional resources, check out the Ohio Department of Insurance Disaster Preparedness and Recovery Toolkit. Use licensed contractors. Verify their identity and legitimacy. Contact the Ohio Attorney General’s Office – Consumer Protection Division to determine if a contractor is registered within the state. Check references before entering a contract. Get proof of insurance (e.g. Liability and Worker’s Compensation). Get any guarantees in writing. Make final payments only after the work is completed and inspected by the Building Department. The Building Department will issue a Certificate when the work is complete. Pay by check. Safeguard personal information. Never give out social security numbers or credit card numbers. Federal, State and local programs will not ask for bank account or Social Security number unless you initiate the call. Donate only to charities you know, or simply ask the person soliciting the donation for the exact name, address and phone number of the charity. Research the charity and then call the charity or nonprofit organization, to confirm that the person is an employee or volunteer. Maintain records on the federal, state, and local assistance that you receive. Keep receipts for all expenses incurred during the recovery process. Get Prepared: Make a plan, build an emergency supply kit, develop a communication plan, and safeguard important documents by scanning/copying and sending them to an out of area contact for safe keeping. Provides grants for uninsured losses and expenses incurred by individuals and families. Provides assistance to uninsured, underinsured and insured individuals and families that have unmet recovery needs after all other programs/resources have been exhausted. The LTRC focuses on: Disaster Case Management, Donations Management, Volunteer Management, and Spiritual and Emotional Support.